Arthur C Clarke was a brilliant futurist and writer, but he is probably most widely known for the third of his famous three laws, "Any sufficiently advanced technology is indistinguishable from magic." As much as I like the idea, I have to say it's wrong for most of the definitions of magic I've ever seen. Clarke was a lot of things, an author, an inventor, and a philosopher, but mostly he was a futurist. Being a futurist, he tended to look forward with great anticipation and confidence, and this attitude informed a great deal of his opinions. You can see it most in his famous three laws. I haven't done the legwork on the first two, but I do think there's a problem with the third. I think Clarke meant that technology and magic were the same to the uninitiated. Tell a person who is totally ignorant of, say, television that the pictures on a television are something you personally create with magic and tell them that it's vast web of interconnecting technologies, and their response is largely the same. Then again, most people are "ignorant" of television, in any practical sense. Even those who know the basic physical concepts behind the idea wouldn't be able to reconstruct a television, or even most of the parts of a television. When it comes to making even the plastic casing that surrounds the technology, all but a few people in a thousand would be completely stumped. We've never learned how to do it. But we assume that, given the right training and resources, we could learn how to do it. This is why, no matter what wonders scientists produce in a lab, from an electronic limb that amputees move using their thoughts to animal-less meat, we don't point at them and shout, "Sorcerers!" We have no idea how it's done but we sense that, given time and teaching, we could do it, too. Even the most extraordinary feats, which we are entirely ignorant about, we write off as science and technology. What qualifies as "magic"? A kid that goes on television and claims to be a human magnet because he can get a spoon to stick to his sweaty skin. A street magician who seems to levitate a few inches. A psychic hotline. The most amazing stuff that science has to offer isn't given a magic cred, but this stuff is. And the reason that this stuff is magic is simple - we can't do it. I don't mean that we can't do it now. It's that, unlike technology, we aren't ever supposed to be able to do it. And, intuitively, we understand that. This tracks with what, traditionally, we read about magic. In science fiction, anyone can fly a space ship or upload their brain to the internet. Sure, people have different aptitudes, but it's all possible. Technology is egalitarian. In fantasy, magic is largely an aristocracy. This goes for everything from early Tolkien, where wizards and elves were just a different class from everyone else, to modern books, in which you can tell the true Targaryen promised one by the fact that she can survive fire and hatch dragon eggs. 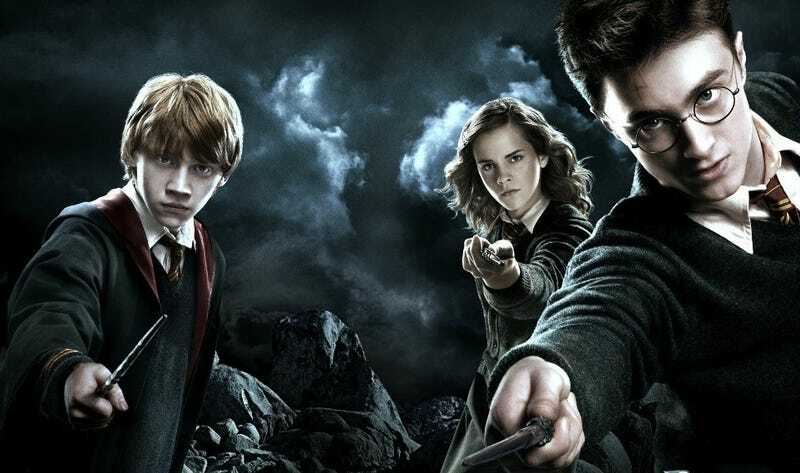 Series like Harry Potter, to some extent, veer away and introduce the idea that a privileged blood line of magic users is essentially wrong, but even Rowling sees magic as something largely inborn. You either have it or you don't. Naturally, any alien or time traveler trying to put one over on a gullible new species can represent a technology as magic. That the basis of the law. But I'm not sure that's correct. There have been plenty of crossovers between different cultures before now, and although people have been fooled briefly by technology, they generally cotton on pretty quickly. And yet even inside a technologically cutting-edge culture, simple "psychic" tricks and pretend levitation are still, occasionally, considered magic. When it comes to technology versus magic, the point isn't the advanced state of the technology, the point is the exclusivity of the trick.